Super Smash Bros Melee is known for its fast-paced, high-intensity matches, and no matchup epitomizes it better than Fox vs. Falco. As space animals (or spacies for short), Fox and Falco require a high APM and fast, precise reactions in order to succeed at a high level. 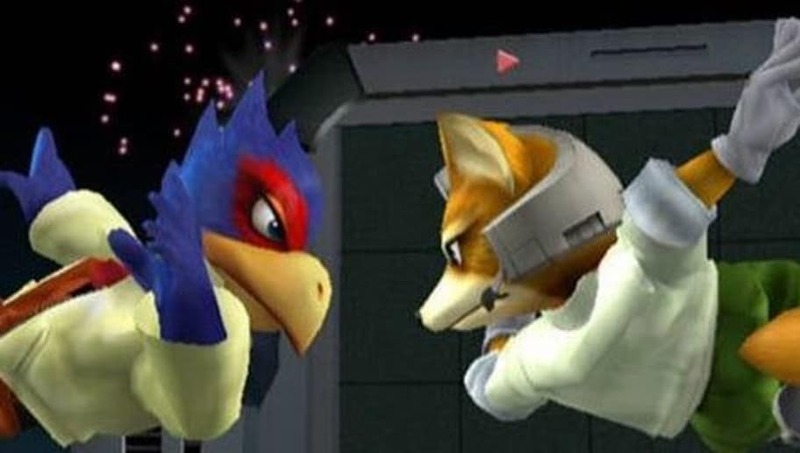 In the modern era of Melee (2012 and onward, for the purposes of this article), there have been many Fox vs. Falco sets that have not only captivated fans everywhere, but have revolutionized the matchup itself. Players like Joseph "Mang0" Marquez, Kevin "PPMD" Nanney, and William "Leffen" Hjelte have pushed the matchup and greatly impacted the development of the metagame. Here are the six most important and exciting Fox vs. Falco matches that we have seen so far in modern Melee. Zenith 2013 took place just weeks before EVO 2013, Melee's return to the main stage of the Fighting Game Community and the beginning of Melee's meteoric growth. Mang0's losers bracket run at this tournament included wins over PPMD (then Dr. PeePee), Jason "Mew2King" Zimmerman, and two set wins over Juan "Hungrybox" Debiedma to claim first place and secure his top seed at EVO 2013. The set itself highlights the style of high-risk, high-reward, in-your-face aggression that propelled Mang0's Fox to the top at EVO 2013 and in the following year. The whole set is worth watching, but the video above links to a quick two-stock comeback by Mang0 at the end of Game 3. Few players can boast more popular memes in the Melee community than Aziz "Hax" Al-Yami and Julian "Zhu" Zhu, the former the originator of "20XX" and the latter the infamous recipient of the Wombo Combo. The two players faced off at Zenith 2014 and had an intense Game 5 set which helped to start more modern ideas of Fox's approach to the matchup. Hax's performance at Zenith 2014 (placing second and taking a set off of Mew2King's Marth) was among his first standout appearances following his switch to Fox. Hax plays incredibly well around lasers without powershielding, utilizing wavedash out of shield to mitigate their impact on his movement. He also plays a highly reactionary, aggressive style that epitomizes his "20XX" ideology. The highlighted clip shows just how powerful Hax's "optimal" approach was, and still is, for the future of the Fox vs. Falco metagame. It should come as no surprise to fans of the scene that this list must feature sets between Mang0 and Leffen, as their Fox vs. Falco sets have been a main attraction in Melee for the last few years. But Leffen and Mang0's rivalry didn't fully develop until this Winners Finals set at Swedish major B.E.A.S.T. 5, because this is the first time that Leffen defeated Mang0. This marked the final rise of Leffen, as he finally defeated Mew2King at Apex 2015 shortly thereafter, becoming the "Godslayer" and changing the game forever. It became clear that not only was Leffen a top contender, but his approach to Fox was also incredibly powerful. This set in particular is notable for taking place in the PAL version of Melee, in which Fox suffers significant nerfs, yet Leffen was still able to beat Mang0. Shortly thereafter, Leffen repeated this feat in the NTSC version at Apex 2015. Fresh off of his sponsorship with Evil Geniuses, PPMD was out to prove his worth and repeat his dominant Apex 2014 performance. Mang0, also representing his new sponsor Cloud9, wanted to re-establish his place at the top of the game prior to EVO 2014. This set is important for the Fox vs. Falco metagame because it highlights the power of the modern "option coverage" style. PPMD employs several traps and setups to secure kills and rack up damage, all while remaining as safe as possible to prevent reversals. The highlighted clip shows PPMD's immaculate option coverage to win close out the set. As one of the last great PPMD Falco sets before his hiatus, this whole set is well worth the watch. This list would not be complete without this incredible set. This tournament featured Leffen beating Hungrybox and starting his ascension to Godslayer status, but it will always be famous for this legendary Fox vs. Falco set between Mang0 and Leffen. This set helped put Leffen on the map, as nobody expected him to take Mang0 to Game 5 in Mang0's favorite matchup. This showed the potential of Leffen's style, while still demonstrating Mang0's unparalleled clutch factor. The last game has gone down in history for reasons that are easy to see, but the whole set is an incredible battle full of memorable moments (including Mang0 synchronizing a combo with the crowd's singing of the national anthem) and is one of the greatest sets of all time. On the verge of elimination in two straight games (which would mean the end of the Mang0 vs. Armada Grand Finals streak at Genesis), Mang0 clutches both games to take the set and continue his losers run. The set was extremely back-and-forth, showing both the optimizations in dealing with lasers that Leffen employs and also the volatility of the matchup. Mang0's falco also plays relatively optimally, highlighting the shift in the metagame that has defined 2016 and 2017 thus far. Mang0's Game 4 comeback features potentially one of the most genius improvisational plays of all time. You'll just have to see it for yourself. Fox vs. Falco remains one of the most exciting and explosive matchups in competitive Melee, and will doubtless continue to change with the potential returns of players like PPMD and Hax. Did your favorite set make the list?